Praise for Who Will Take Over the Business? "With dead–on observations and vital advice, Who Will Take Over the Business? is the key to a successful transition to the next generation. Any entrepreneur considering retirement should take its lessons to heart. Having gone through the process myself, I can attest to the wisdom of the authors′ work." "I like business reports that fit on one page, but each page of this book made me want to read the next. Who Will Take Over the Business? shows how important it is for business families to get advice from professional advisors. I have recommended this book to every member of my family." "For over 150 years, as a family business we have learned many of the valuable lessons contained in this informative book, sometimes the hard way. I recommend Who Will Take Over the Business? 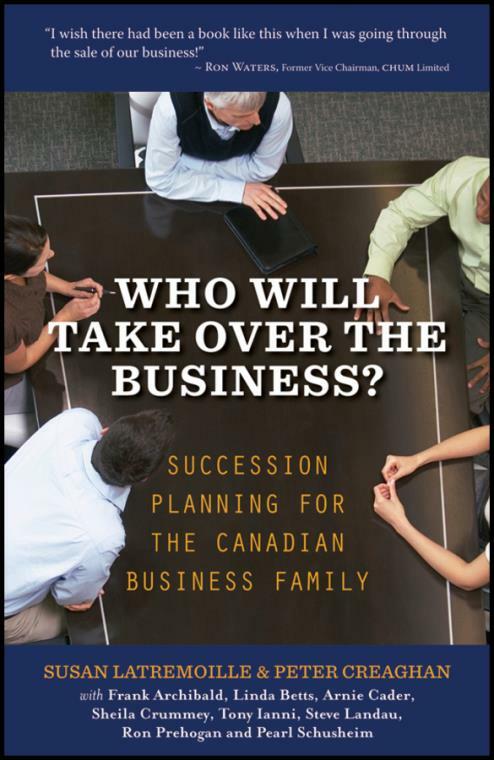 to anyone looking for insight as they face the many challenges that can present themselves when family businesses are in transition."